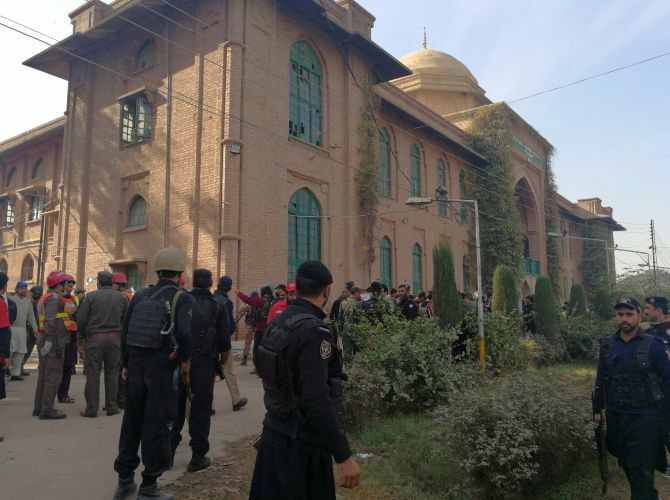 Burqa-clad Taliban terrorists on Friday stormed an agriculture training institute in Pakistan’s northwestern city of Peshawar and opened indiscriminate fire, killing at least 12 people, half of them students, before being shot dead by security forces. 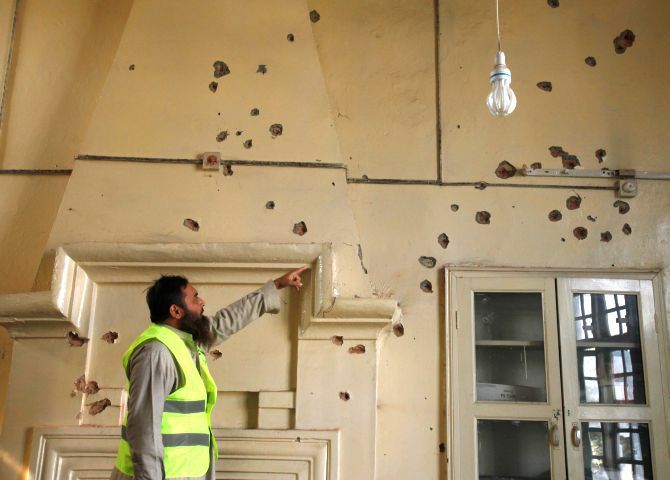 The three heavily armed terrorists, who arrived in an auto rickshaw, attacked the students’ hostel of the Directorate of Agriculture Extension on the University Road in the city, the capital of the restive Khyber-Pakhtunkhwa province. The institute was closed for the Eid-e-Milad holiday, but about 70 students were present in the hostel. The terrorists stormed the building by firing automatic weapons, creating panic, officials said. 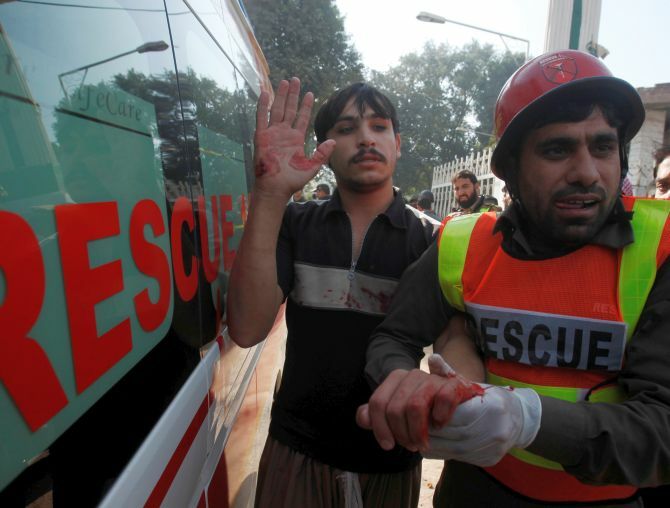 The Tehreek-i-Taliban Pakistan claimed responsibility for the attack. 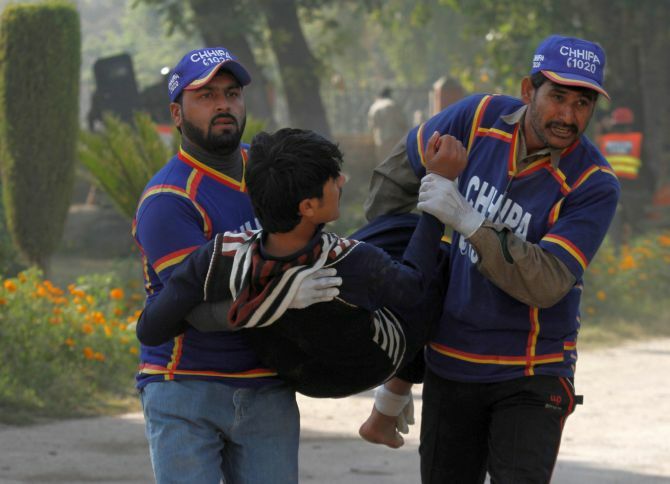 In 2014, a total of 147 people, including 132 schoolchildren, were massacred in one of the deadliest terrorist attacks in the country’s history when terrorists stormed the Army Public School in Peshawar Cantonment and opened indiscriminate fire. Later, on January 20, 2016, 21 students and staff members of Bacha Khan University in Charsadda here were killed after terrorists stormed the university and opened fire.